Working in an accounting firm during busy season is a real juggling act. A majority of the staff is made up of young, married people who are raising children. You can read lots of articles and posts about how working women need help. Don’t forget about the dads. Young married couples today raise children much differently than baby boomer couples and even some older Gen-Xers. Men cook, clean, do the laundry, too. Household tasks are shared by the couple and so are the demands of childcare. One young female CPA told me that she and her husband flip a coin to see who stays home with a sick child. Other couples compare calendars and see what makes sense for the day before they decide who stays home. As you are updating and better defining your benefits program, don’t forget that families need flexibility, not just women. Here’s an interesting article via @Inc about childcare and Amazon. Are you experiencing your first year working for a CPA firm? I imagine one very important thing is on your mind…. passing the CPA Exam! There are a lot of questions still on your mind about the Exam and how to pass it. A recent blog post by Canopy provides an amazing amount of information about the Uniform CPA Examination®. It is titled, Everything Graduating Students Need to Know About the CPA Exam. The blog post answers ten of the most relevant questions students have about the exam. Thanks to Canopy for featuring some of my comments in this helpful post. If you have already passed the Exam – share this with the newbies in your firm! Having the Certified Public Accountant designation is one of the most prestigious things you can accomplish in your professional life. Nothing worthwhile is easy. I have heard one prominent complaint about serving clients for years and years and years. 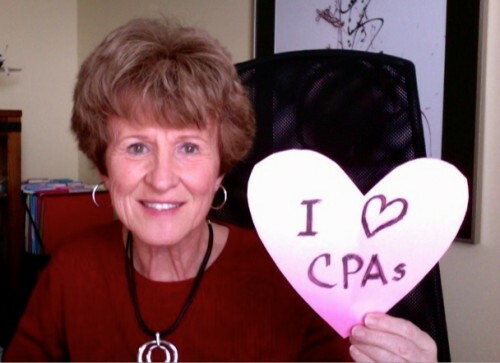 I continue to hear it from CPA practitioners from all parts of the country. It is the issue of dealing with so many VERSIONS of QuickBooks. One of my clients finally did something about it. She purchased the QBO licenses for them and simply told clients the firm was moving them to QuickBooks Online. QuickBooks was having a sale so she purchased several licenses and will eventually pass on the costs via billing rates. She simply said to her clients, “This is how our firm is doing it now.” She received an insignificant amount of pushback. Clients that don’t like it can go elsewhere. The world is changing. New technology tools abound. How is your firm going to do it now? If you are a staff person thinking of leaving your current firm, don’t fret. If you are a firm leader and have been notified that someone you like (or don’t like) is leaving, don’t fret. It is simple, people leave jobs all the time for a multitude of reasons. It was always interesting to me, when I was working inside a busy firm, that when someone left, after about 2 days no one even seemed to notice. This applied to a person who had been short-term at the firm or even if it was a 15-year key manager. If you are managing a growing, successful, progressive firm there are no worries, the firm will go on. People will step up if needed and clients often don’t even care as long as someone intelligent responds to them. If you are a key-person, don’t ever get so conceited that you think “the firm” will miss you. Life will go on for you and for the firm, just as it should. While many profession leaders are warning CPAs that the typical public accounting firm is a dying breed and that its demise will happen rapidly, it is not what I observe in my consulting practice. In the “typical” CPA firms I work with, there is definitely a need to become more digital and take advantage of the efficiencies that result. Most of these firms still do a lot of compliance work but also do a lot of true consulting work with their clients. I do expect them to make the transition into more of a consulting practice but I don’t expect it will happen rapidly. That’s why I enjoyed reading Darren Root’s recent article via Accounting Today – The Traditional Is Still Very Much Alive. Read it and see what you think. How will your firm make its way into the future? Because technology and client demands will continue to push firms to adapt, we know that transformation, at some level, is inevitable.